The World Health Organization, an NGO associated with the United Nations, is soliciting towns in NH to sign up for their AARP Network of Age-Friendly Communities program, we have learned. While we understand the growing need for towns and cities to be ‘senior’ friendly, we don’t understand why the UN or the WHO should have to be involved. They are after all, NGOs. So far, no NH towns have signed on, but “226 communities (and counting), from Texas to Michigan, from Honolulu to Washington, D.C.” have, the site boasts. It’s hard to keep up with these folks… they are relentlessly working to influence US towns and cities toward accepting the UN’s agenda, while at first glance appearing to be helpful advocates for your well being. What gives the right for these NGOs; the United Nations, the World Health Organization, the American Planning Association, and AARP to influence your town’s Master Plan via unelected Regional Councils? This entry was posted in Bedford, Federal, International, Local, Miscellaneous, State on March 15, 2018 by GSF. Trouble is, the town’s master plan was NOT created or approved by the residents, but concocted by the (unelected) Regional Planning Commission, which takes its orders from the American Planning Association (merely an NGO), which in turn follows the United Nations (unelected NGO) “urbanism” agenda — a plan for every country. Did you vote for this? I know I didn’t. What happens in your town is being determined by a little-known program called ‘Granite State Future’, all based on ‘sustainability’ due to the climate HOAX. Residents of every town should object to what these cryptic quasi-governmental agencies are doing to determine their town’s fate. This entry was posted in Bedford, Federal, International, Local, Miscellaneous, State on December 19, 2017 by GSF. 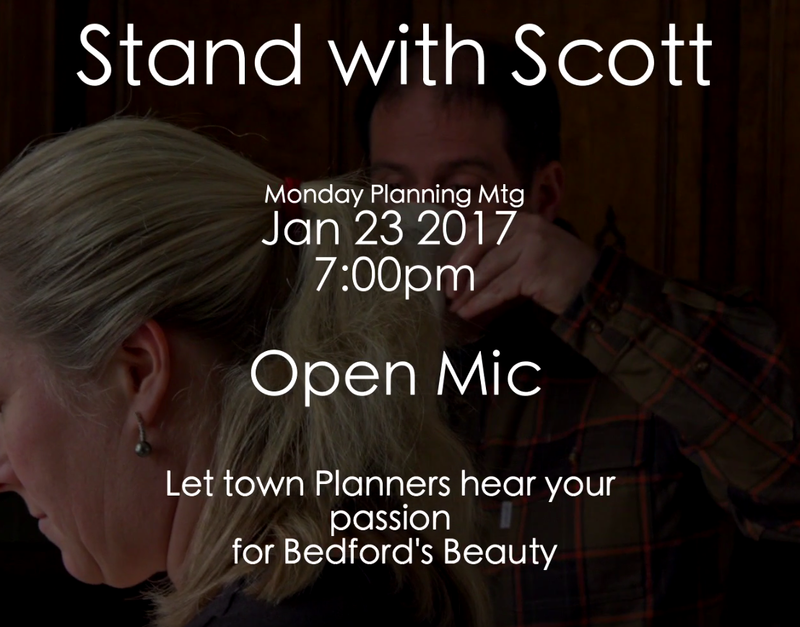 Bedford residents are distressed over the urbanization of their town. 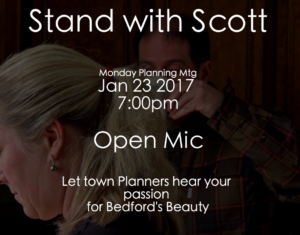 Then, grab a copy of the latest Master Plan and you will see all the buzzwords and plans, in the blatant attempt to ‘urbanize’ Bedford, thanks to the influence of the Regional Planning Commission and their importance on cities (Granite State Future program) and regional government over elected, local government. Bedford residents probably do not want Bedford to be turned into a city even though they foolishly voted for the zoning down by the river (overlay district) in 2012 by a wide margin. Did they know what they were doing? No we do NOT want the river area to be a mini-Portsmouth! This entry was posted in Bedford on January 17, 2017 by GSF. The biggest reason to attend town meetings which are coming up in your town soon! National Review author Stanley Kurtz has mentioned some of our best NH activists in his latest article about Obamazone and the “Affirmatively Fair Housing Act” and the reason why towns should reject HUD grant funds. To all our volunteers, those mentioned and those not mentioned, your work may be anonymous but it is not going unrecognized. We haven’t always been able to get the numbers of people to town meetings as we would like. As you might know, in NH, town meetings (running anywhere from January – June each year) is where residents vote up or down on zoning changes. It is less clear how much say they have in these HUD grants, which are facilitated by ‘Regional Planning Commissions’, boards of unelected bureaucrats who operate just outside of public control and with specially selected NGOs. In our case it’s the Carsey Institute of UNH which actually employs a PR firm (NH Listens) and actors to steer public opinion at under advertised, under attended Delphi sessions. We are grateful that Kurtz has given this issue of regionalism some mainstream attention. We who fight regionalism can no longer to be considered ‘conspiracy theorists’. This entry was posted in Bedford, Federal, Goffstown, Local, Miscellaneous, Rindge, State on January 12, 2016 by Admin. Bedford – Heading for an Agenda 21 Ghost City? UPDATED: Here is a more extensive video on how deserted this rapid transit station is. Money wasted! Take note NH! This video shows you what the City of Annaheim, CA looks like after the failed ‘compact city’ philosophy was instituted. Loft apartments are empty and train stations remain unused. The Town of Bedford NH voted for an ‘overlay district’ in 2012. Stay tuned for more information on what that vote means for the rural town of Bedford. This entry was posted in Bedford, Miscellaneous on March 22, 2015 by Admin. Remember, most of these people serve as UNELECTED bureaucrats fueled by federal and local dollars and who are working for the federal government on soviet-style regional commissions, and may have a greater say in what goes on in YOUR town than the average taxpayer. They will work to create “Public-Private Partnerships” taking direction from private interests that may not serve the ideas of the general population. Notice that the Chamber of Commerce praises the raise in the gas tax. In Bedford, voters overwhelmingly approved an “overlay district” on River Road, apparently missing the fact that this will only serve to turn Bedford into a city. “Inward migration” is the key word here, as that is the master plan of the federal government — to get residents to reject rural and suburban living in favor of the car-less, close quarters of the new urbanism’s “compact housing”. This entry was posted in Bedford, Goffstown, Manchester, Miscellaneous, Rindge on August 14, 2014 by Admin. Between July 23 and August 21, 2014, the Southern New Hampshire Planning Commission (SNHPC) is seeking public review and input on the DRAFT Regional Comprehensive Plan 2015: Moving Southern NH Forward. This plan is advisory only and applies to the SNHPC Planning Commission Region which includes 14 municipalities located within portions of Merrimack, Hillsborough and Rockingham counties. These municipalities include the City of Manchester and the towns of Auburn, Bedford, Candia, Chester, Derry, Deerfield, Goffstown, Hooksett, Londonderry, New Boston, Raymond, Weare and Windham. This DRAFT Comprehensive Plan is the result of a major two-year effort involving extensive public outreach through public visioning workshops; community events; social media; and public surveys. The development of the plan also reflects the hard work of a volunteer Project Leadership Team made up of planning commissioners, town planners and community representatives, including residents and businesses from around the region. SNHPC is interested in hearing from all residents and businesses within the SNHPC Region. The DRAFT Plan can be viewed on the SNHPC website and CDs of the plan will also be made available at all local libraries in the region. This Regional “Master” Plan has been developed with very little public input. Out of the 600 or so participants, perhaps only as few as 100 were actual citizens who were NOT connected to planning organizations or other special interest NGOs who influence the process. The Southern New Hampshire Planning Commission is facilitating A Granite State Future for the communities in the Southern New Hampshire Region. A Leadership Team and a Public Outreach and Engagement Subcommittee serve as advisory bodies for guiding the project. These advisory bodies are made up of citizen representatives from the different communities in the region, as well as representatives from businesses, organizations and local government. An extensive public outreach campaign is being undertaken to reach all sectors of our region in every community. SNHPC encourages input and involvement from everyone in the region. The ultimate goal for this project is to develop a regional plan and vision for the future that addresses everyone’s individual interests and shared interests and identifies actions and recommendations that work to save taxpayers money, create better communities and to promote working together with neighboring towns and cities. We’ve already proven that it is not community-based program, but a top down program devised by the RPCs, with input mostly from American Planning Association, local planners and NGOs and business, all enabled by grants from HUD, EPA, DOT. We’ve shown how there were fewer participants from the true public sector partaking in the visioning sessions. We’ve shown how these plans seek to cover every aspect of one’s life from housing and the prevention of sprawl through urbanization, land use, farming, health, education (Annenberg), healthy eating (children in schools), mental health, broadband, energy usage, gasoline, cars, water (including your private well), bike, transit, and more — while remaining a layer of government that is often unseen and therefore uncontrolled by the voters. And we have shown that once the RPCs convince a town to accept the money from the federal government, it is NO LONGER AN ADVISORY PLAN. In order to benefit from the federal funds, HUD requires mandatory changes in the zoning and planning of each town in question. Sometimes these changes are voted on at the once-yearly town meetings and sometimes not. Further, legislation filed that the RPCs support would take the right to vote on zoning changes away from the townspeople. Please examine these files to see what they have in store for the region covered by the SNHPC for 2015. Keep in mind that it is usually thought to be a ‘done deal’ unless opposition is mounted, so if you don’t like what you see, it is imperative to attend the public meeting and presentation on August 26, 2014. This entry was posted in Bedford, Goffstown, Southern NH on July 18, 2014 by Admin. And the grants for all these projects seem to come from the NH Housing Finance Authority but where do THEY get the money? We suspect it’s HUD. “The town was awarded a $30,000 Community Planning Grant from the New Hampshire Housing Finance Authority to complete the Pedestrian and Bicycle Connectivity Master Plan, which follows through on several recommendations of the 2010 Master Plan. Perhaps now we have the reason why the Town Council wants to remove your right to vote on zoning! In Rindge, that is exactly what they said. Their grant came from NHHFA, and NHHFA got it from HUD. It was community planning grant to change zoning. It is important to point out that Rindge belongs to SWRPC, but the selectmen said NO to GSF. Rindge’s proposed plan contains sidewalks and bike paths too. This entry was posted in Bedford on March 2, 2014 by Admin.